The second generation Audi Q3 receives a much needed update with more space, better performance and, of course updated tech inside. German carmaker Audi has taken the wraps off the second generation Audi Q3. The new Q3 receives a much needed update with more space, better performance and, of course updated tech inside. The 2019 Audi Q3 features a digital cockpit and a large MMI touch response, while the new assist systems supports the driver for ease in driving. Audi has also enhanced the comfort in the 2019 Q3 with better suspension and while you might think this is only for the global market, but on the contrary, Audi will most definitely bring it to India as well. However, the time line for the launch is up for debate. Keeping everything aside, we are quite impressed with the looks of the 2019 Q3 and are hopeful that the newest addition to the premium sub-compact SUV segment gets a much needed boost with the arrival of the new Volvo XC40 as well. The new Audi Q3 is based on the Volkswagen Group's modular transverse matrix and has grown in virtually all dimensions. It measures 4,485 mm in length, which is almost 97 mm longer than its predecessor and has grown 25 mm in its width from the predecessor. Its wheelbase, which has been stretched by 77 mm to 2,680 mm, is much more spacious with more knee room, headroom and elbow room. 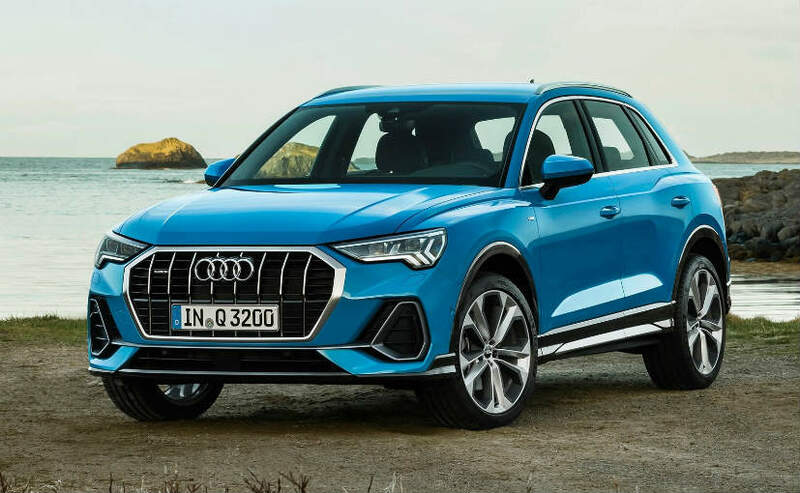 Visually, the new Audi Q3 looks much sportier than its predecessor with the single frame design and large side air inlets that gives a masculine front-end. Up front, the Audi Q3 gets eight vertical bars that divide up the radiator grille with its frame. The headlights are narrow and run inwards with their wedge shape. Moreover, the company will also supply the headlights in three versions, and will be all with LED technology. The top-of-the-line version gets the Matrix LED headlights with adaptive high beam. In profile, the 2019 Audi Q3 gets a symmetrical lighting graphics of the headlights and rear lights, while the shoulder line connects them from a styling perspective. 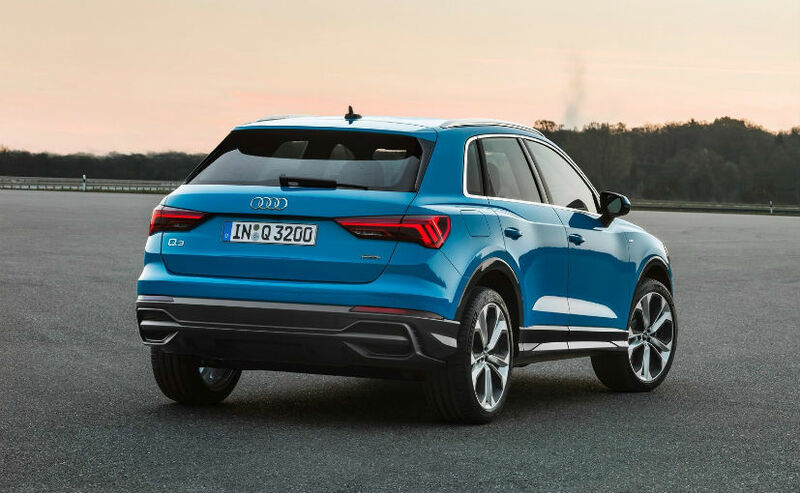 The contours are inspired from Audi's Quattro DNA and make the SUV seem even wider, while the color-contrasting wheel arch trims accentuate the off-road look of the Q3. Supported by a long roof edge spoiler, which also flanks the rear window at the side, the steeply raked D pillars of the body line creates an appearance of forward thrust. The biggest change is on the inside, and the first thing you notice in the Q3 is that Audi has done away with the analog instruments. Even with the standard MMI radio, there is a digital instrument cluster with a 10.25-inch screen diagonal, which the driver operates using the multifunction steering wheel. You also get the Audi connect portfolio which includes as standard with the top-of-the-line infotainment system that supplements the navigation. However, the highlight is the Bang & Olufsen Premium Sound System with virtual 3D sound that provides three-dimensional audio. The sound experience is generated through four additional loudspeakers in the instrument panel and one in each D pillar. The sound system uses 15 loudspeakers altogether and produces a total output of 680 watts. In terms of safety, the 2019 Audi Q3 gets the top of the class assist systems. The adaptive cruise assist is available optionally in combination with S tronic. It incorporates the functions of adaptive speed assist, traffic jam assist and active lane assist. You also get the park assist which steers the SUV automatically into and out of parking spaces. The four 360 degree cameras provide another useful function and shown on the large infotainment screen when moving at speeds up to 10kmph. In addition to the virtual bird's eye view, the reversing camera view and the front and rear 180 degree panoramic view, there is a detailed view of the front and rear wheels. 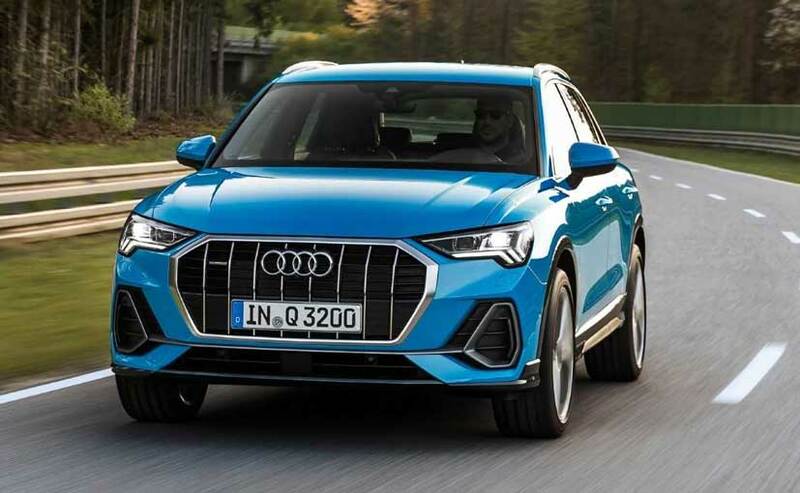 Moreover, the Audi Q3 also gets the Audi pre sense front safety system which detects critical situations involving pedestrians, cyclists and other vehicles using the radar and provides the driver with a visual, audible and haptic warning. Under the hood, the new Audi Q3 will come in four engine versions - three petrol units and one diesel unit in combination with front-wheel or Quattro drive. The power outputs range from 150 bhp 230 bhp and all engines are four-cylinder direct injection units with turbocharging. A 6-speed manual transmission or a fast-shifting 7-speed S tronic is used to transmit the power. The all-wheel drive delivers excellent driving pleasure with optimum traction and supreme stability. The Audi Q3 comes in 17-inch and 18 inch wheels depending on the exterior trim, while a 20-inch wheel is also available.